Today I've become an UNCLE !!! 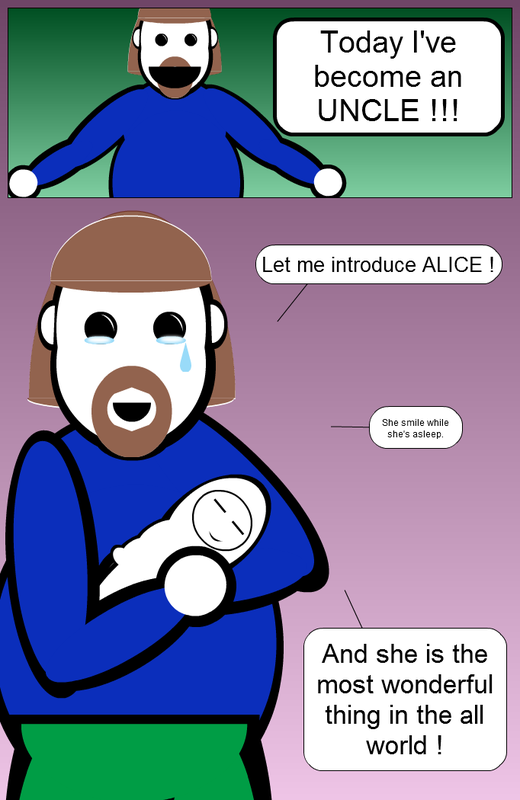 Let me introduce ALICE ! She smile while she's asleep. And she is the most wonderful thing in the all world ! you turn around for a second and they grow up!